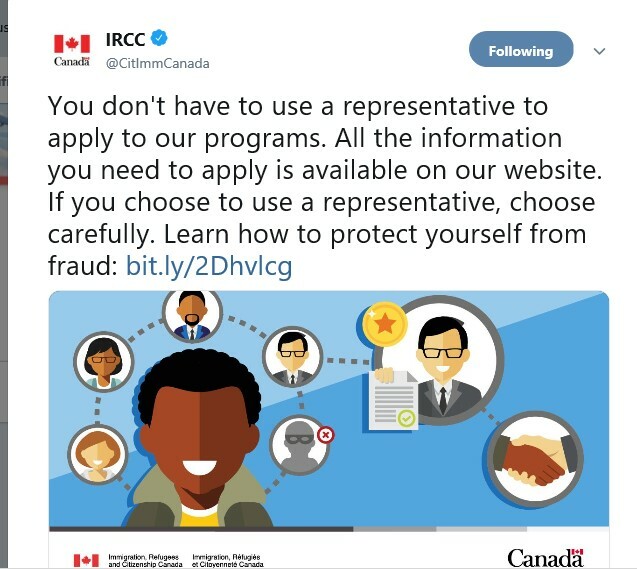 On its Twitter account, Immigration, Refugees, and Citizenship Canada recently advised potential applicants that they don’t need to use representatives to apply to immigration programs. Apparently, all the information needed to apply for any program is available on their website. If following directions on a website is all it takes to succeed, then why does our office see so many clients after their self-prepared applications were refused? Also, if the requirements are clear, then why do so many applications get sent back for being incomplete? Statistics show that in 2017, Canada obtained 342,145 applications for temporary residence. Out of this number, 18.9% applications were refused. When the application was prepared by self-represented individuals, the refusal rate was 19.3%. When assisted by a paid consultant, the refusal rate was 18%. However, when the application was prepared by a lawyer, the refusal rate dropped to 10.4%. Without getting into the important debate about the effectiveness of hiring a lawyer over a consultant, the above statistics tell a truth: hiring a lawyer will provide you with a better chance of your application succeeding. This gap in success rate is especially significant as lawyers tend to take on more difficult cases that carry higher risks of refusal. So what do we lawyers do to that make the above statistic possible? First, we devote a significant amount of time keeping up with new developments in immigration law. We understand that the website is just one source for getting information. Immigration law is based in statute and programs that are constantly changing. In many cases, the website isn’t updated immediately to reflect new changes. Even more frustrating is when the website conflicts with what the law says. IRCC is constantly releasing new versions of forms without notice to applicants. Programs are opened, extended or closed with little or no warning. Our careers are based on keeping up with these changes, yet we still may not catch all of them. Expecting an applicant who holds a full-time job in another career to keep up with these changes is expecting too much. When clients ask us questions about their issues, our answer is often ‘it depends’. This is because this immigration law has lots of grey areas. Officers have a wide range of discretion in making decisions. The difference between a positive and negative decision could be whether they are feeling sympathetic to the client on that particular day. Our job is to understand this and prepare applications in a way that gives our clients the best chance of success. We also ensure that if the application is refused, there are sufficient documents to ground an appeal. We devote our days (and often our evenings and weekends) figuring out what new developments mean for our clients. To maintain our licenses as lawyers, we are required to undertake a certain number of hours pursuing Continuing Professional Development. The lawyers in our office usually end up with almost triple the minimum amount needed, because it would be careless to not learn about new developments as they roll in. Most immigration lawyers in Canada also belong to a listserv, where experiences are shared. This bank of information is invaluable in providing effective services, as the answers to questions are often not found on the website. Gone are the days when if an application is refused or returned as incomplete, the applicant has the option of contacting an actual human being to sort out the problem. IRCC receives too many applications, and simply does not have the capacity to do this. Applications can be refused for many reasons, including if the applicant was ineligible to apply in the first place, didn’t provide the right documents, or provided misleading information. In the latter case, failing to declare information (whether on purpose or not) could lead to a finding of misrepresentation. This carries the possibility of being banned from Canada for 5 years. In cases where the application is returned for being incomplete, the applicant may not know for months, and the application fee isn’t refunded. Both time and money are wasted. In our office, three sets of eyes review applications before they are sent out, to try to prevent this from happening. When there is a previous refusal, trying to succeed in a new application could feel like climbing Mount Everest. Officers are hesitant to overturn their colleague’s findings, and a previous refusal casts a shadow over that person’s attempts to apply again. By hiring a lawyer to assist with preparing an application, you are increasing the chance of success on the first try. If we think you won’t be successful, we’ll tell you because our job is to advise you of the risks involved. In our opinion, the riskiest thing you can do is trust that IRCC’s website will give you enough information to succeed. Ask any self-represented person who's had a refused or returned application, and they’ll be the first to agree. IRCC loves announcing major changes around the holidays. It is probably because it is easier to roll out changes during quieter times, but I choose to believe it is because IRCC likes to give us presents on holidays. This time it was a change to the Post-Graduation Work Permit Program, which came as a Valentine’s Day gift. International students who study in Canada at a Designated Learning Institute (‘DLI’) are eligible to apply for a Post-Graduation Work Permit (‘PGWP’) if they meet certain conditions. PGWPs are open work permits that enable students to gain work experience in Canada. Obtaining a PGWP is a huge advantage as it creates a path to permanent residency through the Express Entry program. However, the rate of refusals for PGWPs was high as strict criteria had to be met. Any deviation from the criteria left it up to the officer to use their discretion to approve the application, but more likely than not led to a refusal of the application. As you can see, news of these changes was met with joy and probably constituted the best Valentine’s gift any immigration lawyer could ask for. Students can now submit their PGWP application within 180 days (6 months) from receiving a transcript or an official letter confirming that they met the requirements to graduate. The calculation of the 180 days begins as soon as the student receives their transcript or the letter. This is a welcome departure from the 90 days requirement as it allows students the time to consider their next steps (further study, or work) and prevents students from missing the short window of time where they had to apply. Previously, students had to have valid student status before they could submit their application. That meant that students often had to apply to renew their status even though they already received their final grades or transcript. Now, students may apply even though their study permit has expired, as long as they apply within the 6-month period. The requirement that the student maintain full-time student status in Canada during each academic session has not been changed. However, IRCC introduced a new exception for leave from studies. Under the old scheme, any type of leave of absence was not allowed. This rendered students who took a leave of absence for medical reasons, family emergency, or death of a family member ineligible to apply for a post-graduation work permit. Under the current scheme, the student may still be eligible for a PGWP if an officer determines that the student actively pursued their program of studies during their leave and remained in compliance with their study permit conditions. A student will be considered actively pursuing their studies if their leave was authorized by the DLI and did not exceed 150 days from the date the leave was approved by the institution. Graduates who submit a PGWP before the expiry of their study permit are eligible to work full-time while they are waiting for a decision on their application. This does not apply to students who changed their status as visitors and then submitted their PGWP application. Students who wish to remain in Canada after graduation must still maintain their temporary status either as a student or visitor. Study permits become invalid 90 days after studies are completed, pursuant to Section 222 (1) of the Immigration and Refugee Protection Regulations. Though you have six months to submit your PGWP application, you must apply within 90 days in order to benefit from implied ‘status’, which allows you to have status in Canada while your PGWP application is being processed. If you do not want to submit your PGWP application within 90 days, then you must apply to stay in Canada as a visitor. Students who previously submitted their applications and were refused can still submit a new application if they meet the requirements and are still within the 180 day period. If you are unsure how the new rules affect you, then please contact us, and we would be happy to assist. This past November, the Huntsville Forester reported that a criminal court judge had ruled that a canoe was a vessel under the Criminal Code of Canada. This meant that charges against a man could go ahead for impaired operation of a vessel causing death. He had been paddling a canoe that capsized, while allegedly impaired by alcohol. The other occupant of the canoe, an eight-year-old boy, drowned. On December 18, 2018, Canada increased the possible maximum jail sentence for those convicted of operating a conveyance (which includes a vessel) while under the influence of drugs or alcohol. The maximum sentence is now 10 years, from the former 5 years. This makes the possible immigration consequences much more serious. In Canada, you can be inadmissible for ‘serious criminality’ if you are convicted of an offence for which the maximum sentence is 10 years or longer. This is contrasted to simple ‘criminality’, which is for offences with lesser maximum sentences. The difference between ‘criminality’ and ‘serious criminality’ is significant. Permanent residents are not deported for ‘criminality’. However, if they are convicted of an offence that creates inadmissibility for ‘serious criminality’, removal proceedings could be started. Permanent residents would only be able to appeal their removal orders if their jail sentences were for less than six months. If they commit or are convicted of a DUI’s outside Canada, they will have no right to appeal, regardless of the sentence imposed. Formerly, temporary resident permits could be issued for foreign nationals with DUI offences by most minister's delegates. Now, it will require approval of a program manager or director. Applying for a TRP at the port-of-entry, which is commonly done by US residents, will become more difficult. It is not possible to be ‘deemed rehabilitated’ of an offence that leads to serious criminality, regardless of how much time has passed since the sentence was completed. Previously, if 10 years had passed, you could be ‘deemed rehabilitated’. Now, everyone with a DUI offence committed outside of Canada will have to apply for rehabilitation. This process can take a year or longer, and now carries a government application fee of $1,000. You cannot apply for rehabilitation until 5 years have passed since you completed your sentence. Those with Canadian DUI offences will need to apply for record suspensions. These applications can only be made five years after the conviction. Individuals with ‘serious criminality’ cannot make a refugee claims in Canada. Citizenship applications will be delayed or voided if the DUI charges proceed by indictment, as opposed to the less serious summary process. 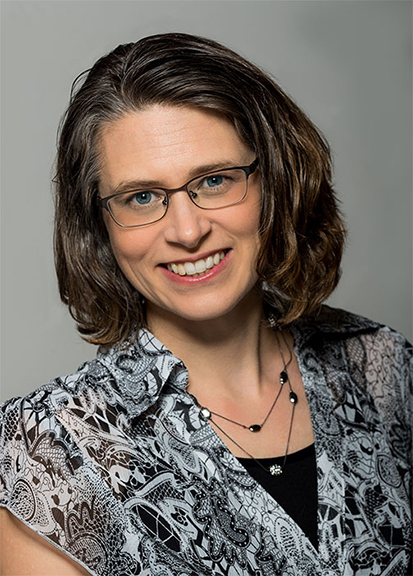 Fortunately, the new law will only apply to offences committed after it came into effect, as a result of a recent Supreme Court of Canada decision that limits retrospective application of new laws. Accordingly, those with DUI offences from before December 18, 2018 will not be considered to have committed ‘serious criminality’ but only ‘criminality’, and permanent residents with historic DUI offences should not be facing deportation proceedings. The potential impact of this legislative change is not lost on some politicians. Senator Ratna Omidvar has been pushing for changes to reduce the impact on permanent residents. Also, the Canadian Bar Association has advocated for changes to Canada’s immigration laws either to allow appeals for deportations due to DUI offences, or to state that DUI offences are not ‘serious criminality’ for inadmissibility purposes. Unfortunately, there has yet to be a government response. Coupled with the legalization of cannabis on October 17, 2018, these changes could have a wide impact. I have been procrastinating sending out this month’s newsletter, hoping that the Canada Border Services Agency would have published guidance on how officers are to use their discretion in determining whether to pursue enforcement action. However, we have yet to see an Operational Bulletin from CBSA to date. In the interim, I would highly recommend hanging up your paddle if you’ve had one too many. Last June I did a consultation appointment for a family who wished to apply for study permits for their two children. One was an elementary school student, and the other was a secondary school student. The family was in Canada as visitors. They had been accepted by the school board they applied to. The school board advised that they could study in Canada for the month of June, without a study permit. When they came to see me, the children had already been attending classes for two weeks. I consider myself to be a mild-mannered person. Living with teenagers has required learning the patience of Job. It is rare that I find myself hot under the collar about something. But the issue of birthright citizenship is one that really sticks in my craw.